On the one hand I appreciate that atheist and skeptic Bart Ehrman has written a book that argues for the historical existence of Jesus. On the other hand the book is not without its problems. Here are all our posts that exposes the fallacious reasoning in Ehrman’s book. Bart Ehrman’s Claim: Jews didn’t deny other gods’ existence? 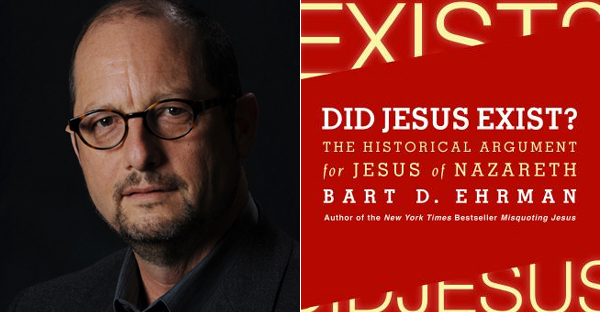 Bart Ehrman’s Case Against Jesus as God in Did Jesus Exist? Note: Long overdue! This is part two of our critique of atheist and skeptic Bart Ehrman’s attack on Jesus’ so called “Triumphant entry” into Jerusalem as found in Ehrman’s book Did Jesus Exist? I’m four years late but I suppose it is better late than never. I begin first with a presentation of Ehrman’s views which is followed by part two of my response. Ehrman’s rejects the historicity of Jesus’ so called Triumphant entry into Jerusalem that happened on “Palm Sunday” during the final week of His life. If it is true that the crowds were shouting that Jesus was the messiah now arriving in the holy city, why didn’t the authorities immediately take notice and have him arrested both for causing a disturbance and for claiming to be the Jewish king (when only Rome could appoint the king)? Instead, according to Matthew and the other Gospels, Jesus spent an unmoltested week in Jerusalem and only then was arrested and put on trial. But it defies belief that the Roman authorities who were in town precisely in order to prevent any mob actions or uprisings would have failed to intervene if the crowds shouted in acclamation for a new ruler arriving in town” (202). Ehrman’s argument is essentially that he can’t believe it took a full week after Jesus entered into Jerusalem in a Messianic fashion (with it’s political implication) before He was finally arrested and put on trial. Ehrman’s reasoning is not without it’s problem. One can group the problems into two basic categories: (1) Ehrman has not properly handled the Biblical data in his argument against the historicity of Jesus’ “Triumphant entry” and also (2) his argument that in light of historical parallels. We have already looked at the first set of problems in part one. If you have not already done so, you might want to read part one first, which demonstrated that Ehrman has not properly handle the Biblical data. Here in this post we will consider historical parallels of other Messianic figures as a rebuttal to his argument. A month ago I noted Bart Ehrman’s strange claim that somehow the Jews didn’t deny other God’s existence in his book Did Jesus Exists? Today I want to focus on his claim that the Bible does not teach that Jesus is God, as he sets forth his case in chapter 7 of his book. He labor the point that many people have spent a long time studying the passage from all spectrum of scholarship. But merely saying that there’s many views on a passage in of itself is not a refutation of the view that Philippians 2 teaches the deity of Christ. Ehrman also fail to engage or interact with scholarship arguing for the view that Philippians 2 teaches the deity of Christ. The other disappointment I had with Ehrman is the fact that he failed to deal with the text itself. For instance, the Greek word for “form” in “form of God” in verse 6 is μορφη. Lexically, the word μορφη refers to the inward essence of a “thing” or “person” while rarely referring to the outer appearance. Ehrman also failed to deal with the adjective ισα, which in the English NASB is translated as “equality.” Lexically it has the idea of equal and later became the root for isosceles, isometric, etc. There is no acknowledgement or denial of these two Greek words in the book, which is unacceptable since they are the key reasons some see Philippians 2 as teaching the deity of Christ. Note also that Ehrman looks to Mark 10:17-18 as support for his claim that Mark teaches us how Jesus “is not to be thought of as God.” But careful reading of Mark 10:17-18 reveal Jesus did not say “Don’t call me good because I’ m not God.” Rather Jesus asked a rhethorical question, one that the rest of context indicates the reason why Jesus asked it is to question the young man’s conception of what is good rather than ultimately being an issue about Jesus let alone being an indicative statement about Himself. First off, Ehrman here commits an either/or fallacy. Ehrman has not demonstrated how just because Jesus is called Jesus Christ that necessitate a denial of His deity according to the Christian faith. They were accustomed to meet on a fixed day before dawn and sing responsively a hymn to Christ as to a god, and bound themselves to a solemn oath, not to any wicked deeds, but never to commit any fraud, theft, adultery, never to falsify their word, not to deny a trust when they should be called upon to deliver it up. When this was over, it was their custom to depart and to assemble again to partake of a meal—but ordinary and innocent food. Note that Pliny as an outside observer gives a window into the early Christian church and how they worshiped Jesus. In light of Jewish Old Testament background undergirding Christian theology, one must not worship anything except God alone. Again, Ehrman commits a fallacious reasoning from Romans 1:3-4 that just because it teaches that Jesus is the Son of God does not mean He is not divine in origin. Ehrman fail to interact critically with the orthodox formulation of the Incarnation of Jesus Christ and how it balances the Diety and humanity of Christs that account for His titles such as Christ and Son of God. Among the first commandments given to the Jews by this God was “You shall have no other gods before me.’ Jews by and large did not deny that other gods existed, but they were not to be worshipped by the Jews themselves.” (Page 272; emphasis not in original). An unusual statement. In the sentence before, Ehrman acknowledges the role of the Jewish Scripture (what Christians call the Old Testament) in shaping first century Jewish theology. Ehrman extrapolates from the first commandment that Jews are to worship one God but felt that this does not mean first century Judiasm would have to subscribe to the belief that there’s only one God and not any other. Two criticisms need to be made. Point 1: I wish Ehrman would have demonstrated his case that the Jews of Second Temple Judaism were open to the idea that other gods might exist. At a minimum he should have given a footnote of studies supporting this view or better yet Ehrman should have made the case himself using direct primary sources. Point 2: Ehrman’s chief error here is his omission of what the rest of the Jewish Scripture has to say. For instance, consider these passages from the Book of Isaiah. [a]From the time that I established the ancient [b]nation. As I slowly make my way through agnostic Bart Ehrman’s latest book, Did Jesus Exist?, I can’t help but to notice the logical fallacies. For instance, about a week ago I posted on Bart Ehrman’s straw man and contradiction against the fundamentalists. Three weeks ago I posted on his fallacy of a false dilemma. 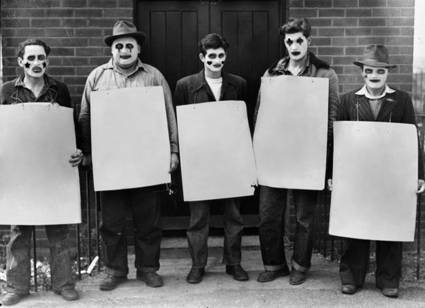 Today’s post will focus on the fallacy of argument from silence. A Slam Dunk on Salm. After all, silence only proves…silence. And don’t forget the difficulty of proving a universal negative. Note how Ehrman calls out Salm that he does not know what every early Christian have done in their lives and therefore Salm can not establish his premise that no early Christians ever looked for Nazareth. Does Ehrman commit the same fallacy? No Jews? To apply Ehrman’s own refutation quoted earlier against himself: “this is actually hard to show; how would we know…” “unless all of them left us writings and told us everything they knew and did?” (Page 193). Again, an argument from silence to prove a claim. Ehrman should realize the difficulty of his position with the realities that he admitted earlier in the book that the Romans did not keep a detailed complete record of everything they did and that we should not interpret that to mean that something couldn’t have been historical if it’s cited elsewhere (see pages 44 through 46). Keep in mind that an argument from silence here is further problematic when one consider the fact that the majority of the Roman imperial record did not survive the passage of time. Can you spot other arguments from silence in Ehrman’s book?